Actress Taapsee Pannu Valentines Day message for her fans — someone is waiting for you and wants you to reach home safely, and so focus on road safety by wearing a helmet. The “Pink” actress spread a social message on road safety at the Auto Expo 2018 at India Expo Mart in Greater Noida on Saturday. Taapsee Panu joined Honda Motorcycle and Scooter India Pvt Ltd’s Senior Vice President, Sales, and Marketing, Yadvinder Singh Guleria, to announce Honda’s National Road Safety campaign #HelmetOnLifeOn. Talking about the initiative, Taapsee, who is Honda’s brand Ambassador, said: “Every year on Valentine’s week, we express love with gifts to our loved ones. This Valentine’s week my message to my fans is – someone is waiting for you and wants you to reach home safely.”. “This Valentine’s Week gift your loved ones a helmet. Because of Helmet on, toh life on.”. Sharing details of the campaign, Guleria said: “Nearly 18 million new two-wheelers come on roads every year. As a responsible two-wheeler manufacturer, Honda is deeply committed to spreading the message of road safety for everyone. “It is very important to highlight the importance of helmet usage while riding a two-wheeler.” Taapsee also rode Honda’s 125cc scooter Grazia and the new 2018 edition of CB Hornet 160R motorcycle in Honda’s outdoor road safety zone. (IANS). 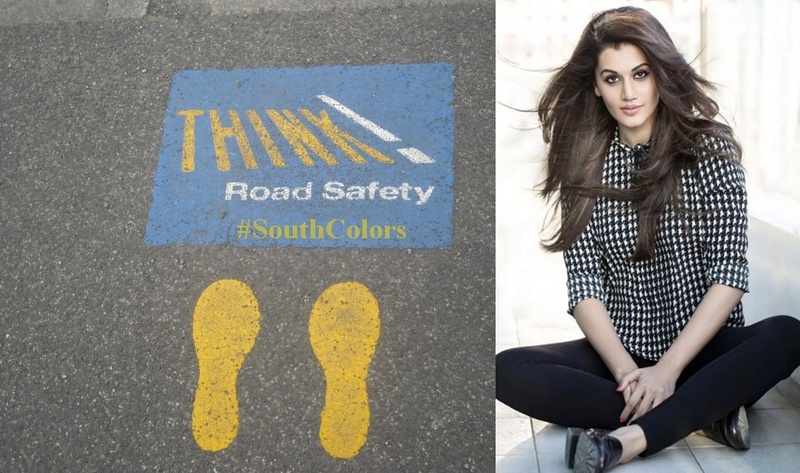 The post Actress Taapsee Pannu Valentines Day Message to Fans on Road Safety appeared first on SouthColors.